IIT JEE Advanced is an all-India examination administered and conducted by the seven zonal Indian Institutes of Technology (IITs) under the guidance of the Joint Admission Board (JAB) 2018. 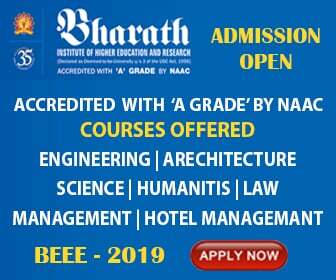 The performance of a candidate in the JEE Advanced examination forms the basis for admission to the Bachelor’s, Integrated Master’s and Dual Degree programs in the sixteen IITs and the Indian School of Mines (ISM) Dhanbad. The JEE advanced 2019 examination will be conducted on 19th May 2019. The exam scheme for JEE Advanced 2019 covers the type of questions, duration of the exam, number of questions, and much more. All this is useful for an aspirant appearing for the JEE advanced paper.